I know, I know… it rots your brain, right? Well, it certainly can, and the reasons behind that are two-fold. 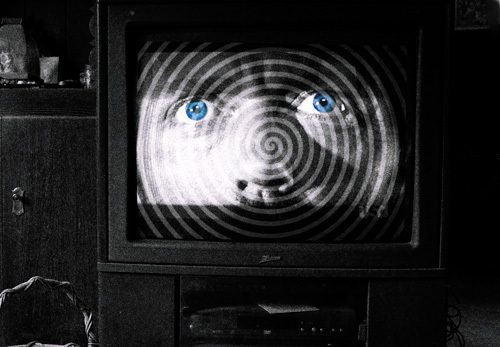 First, if you are a child, or the type of person who prefers not to reflect on things, you can be easily swayed to believe whatever the TV wants you to believe. If that wasn’t the purpose of TV when it was first invented, it has certainly been put to that use by now. Now, not all media is in on it. My blog isn’t. (Ha ha! Maybe it is! No…) The internet is just brimming with real journalists and pundits – people who are doing their own thinking and are simply expressing themselves. It’s just that those who are not official don’t reach the great mass of unwashed people. You’ll know if you start to because if you’re not saying the right things, someone will try to shut you up. That’s what SOPA, and all those crazy copyright laws are for – oh wait, you thought those were to protect you? Anyway, that’s the first way it will rot your brain. Well, not rot your brain, just turn you into a zombie. Okay, that is kind of like rotting your brain. The only difference is, your brain is actually still fine. You can change it whenever you like. The longer it’s like that, though, the harder it is. But there’s another way that TV rots your brain (and eats up large amounts of otherwise productive time)… it’s very, very, relaxing. It’s kind of like a smoke or a drink. It talks to you. Lulls you to sleep. It tells you a bedtime story. Even if you are well aware, as I am, that a lot of it is horribly slanted, and you tend not to fall for the propaganda, it can still be a lot like a drug, causing you to lay around when you could be doing something more productive. It can fill you with apathy. It’s a dangerous drug, really, if you don’t manage it. When my mother passed away in 2001, I watched more TV than ever before. That’s how I became addicted. I realized its benefits in overcoming grief. Back then I watched a lot of History Channel. I think it made me feel better to imagine a time when Mom was not just alive but young. I also watched a lot of Court TV and Cartoon Network – the escapism aspect should be obvious in the pairing of those two. What TV served as for me at that time is simply this: a pacifier. TV really is the Great Pacifier. If you must do it, do it only at bedtime. (Make sure you have a timer on the TV to shut it off!) It really can be a great sleep aid. If you must do it, force yourself to watch something at least potentially educational. Yes, it’s usually a vast wasteland, but there are pockets of good stuff – even great stuff – for learning. If you must do it, watch it in a foreign language. This can be a great excuse for watching a lot of junk. In the end, at least you learned something. If you must do it, critique the hell out of it. I’ve gotten some good material for the blog that way!